Winner of the Prix Othon Friesz, Victor di Gesu first attended the Chouinard Art School before moving to Paris where he studied with Andre L’Hote at the Academie de la Grande Chaumiere. He subsequently attended the Escuela de Belles Artes in Barcelona before furthering his studies in Italy. Returning to California, he worked with a variety of artists including F. Tolles Chamberlain and Maynard Jepson. 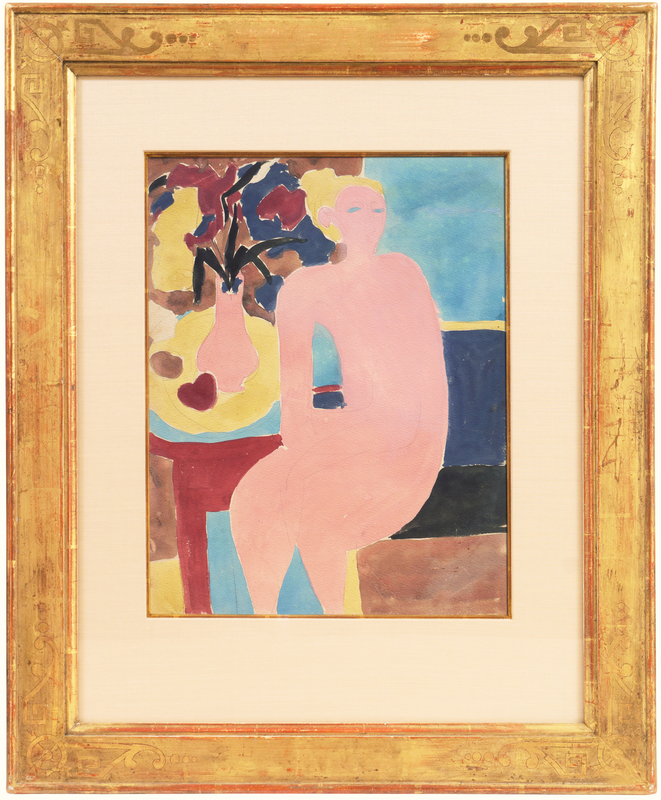 An intuitive colorist, Di Gesu’s classical training and scientific research into color theory helped him create vivid yet harmonious works which, while reminiscent of Matisse and Gauguin, retained a verve and spontaneity that was uniquely his own. A prolific artist, Di Gesu was the recipient of numerous medals and juried awards, both in the United States and France. He exhibited widely and with success, including at the Louvre and the Exposition des Artistes Etrangeres in Paris, the San Francisco Museum of Art and the Los Angeles County Museum.